* Horseshoe Casino, 2701 23rd Ave. in Council Bluffs, will host its 10th Annual Canfest: A Concert For Hunger Wednesday, Oct. 24th inside the Whiskey Roadhouse at the casino. The 8 p.m. concert will feature country acts Kix Brooks, Casey James and Craig Morgan and all ticket proceeds and food donations collected at the event will be sent to the Food Bank for the Heartland. Country radio station KXKT-FM The Kat 103.7 co-hosts the 21-and-up event. 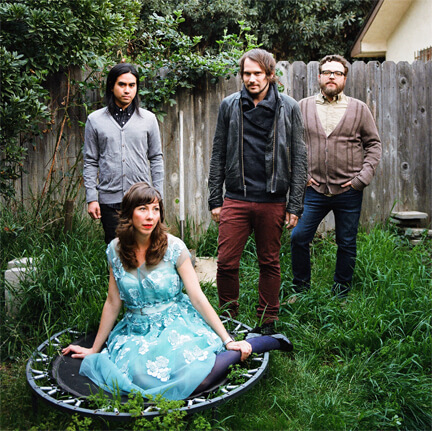 * Silversun Pickups may have been the perfect band to introduce Papillion’s gorgeous Sumtur Amphitheater, 11691 South 108th St., to Omaha’s concert-going audience. The California alternative rock band delicately blends together dream-pop/shoegaze sounds with a post-Smashing Pumpkins guitar rock, led by Brian Aubert’s beautifully-processed guitar tones and his whisper-to-a-rage vocal range. The band was set out in the open-air venue Monday, September 17th during one of the first crisp, cool nights of autumn, which lent itself wonderfully to the band’s music. Concert promoter One Percent Productions has a gem of a space to explore next summer, as Sumtur’s top-notch acoustics, its uniquely-designed stage and its selection of fixed seats position it to become Omaha’s best outdoor venue. * Swans are the loudest, most uncompromisingly punishing band my ears have ever experienced. The experimental New York post-punk band drowned the Bourbon Theatre, 1415 O St. in Lincoln, in repeating waves of crushing, chanting, tribal noise-rock at a volume that black metal bands nor Dinosaur Jr. would be able to achieve for the length of time that Swans unfolded their set. Inside that volume was polished, cohesive and highly-skilled band at work. Michael Gira directed the towering blasts, which at points breathed just a bit to let post-rock movements find beauty in the brutality. The end result was an experience that lasted days the band hammered down their final notes. * All Young Girls Are Machine Guns are locked and loaded for their Friday, Sept. 28th CD release show at the Slowdown, 729 North 14th St. The band have printed 300 CD copies of the new album, Here’s Hopin’ Tomorrow Never Comes for the event, which also features sets by Field Club and Mynabirds’ Laura Burhenn. Tickets for the show are $8. Check TheReader.com for an interview with All Young Girls Are Machine Guns’ Rebecca Lowry and Travis Sing. * The Hootenanny train keeps rolling down the tracks at the Waiting Room Lounge, 6212 Maple St. The next installment of the early evening collaborative music showcase, curated by Lori Tatreau, kicks off at 5:30 p.m. Tuesday, October 2nd with performances by Faerie Tones, Sam Martin and 20,000 Strongmen. The $5 cover will benefit the Sunset Community Farm, a project of Community Crops in Lincoln. The Localmotive food truck will be on hand at the event, serving up dinner, as well.